A trip to the “State of Royals” aka Rajasthan is mostly centred around viewing marvellous palaces, rich culture of this land and enjoying the rich taste of Rajasthani cuisine. But if you want to set a different theme for your next trip to Rajasthan, then Mandore is a really good place to start with. 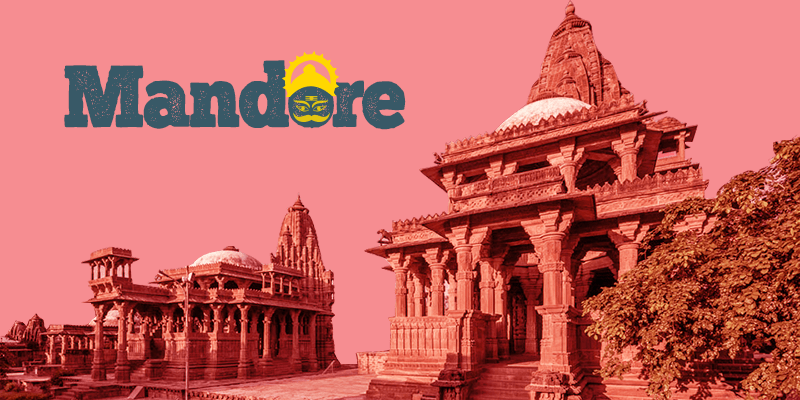 Largely unheard, the amazing town of Mandore is situated 10 KM away from the glorious Sun City or Jodhpur. But what makes this town really unique is its rich association with history and mythology. This small and ancient town holds great historical significant. During the days of Gurjar-Pratihara dynasty, Mandore was the capital of Marwar’s princely states. Being the capital of Marwar, it holds many monuments of great historic significance depicting the reign of the great rulers. 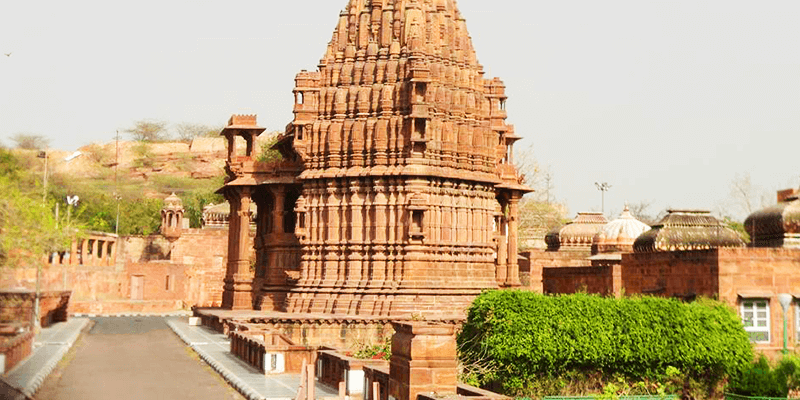 But, Mandore lost its glory when the capital was shifted to Jodhpur. While entire India celebrates Dussehra with great festivities, Mandore is one of the rare places where the death of this demon king is mourned. No glowing lights burn in the town on that day and Raavan’s Shradh (cremation) ceremony is held. Why? Well, the name Mandore can give you a clue. 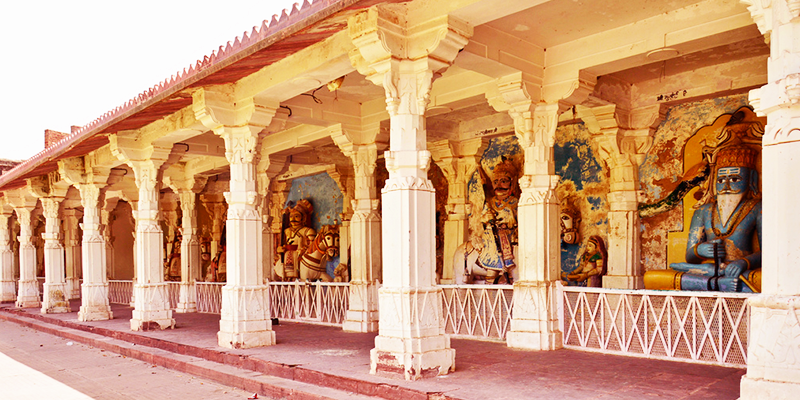 It is believed that Mandore is the birthplace of Mandodari, Ravana’s wife. She spent her early life and was married in the town. 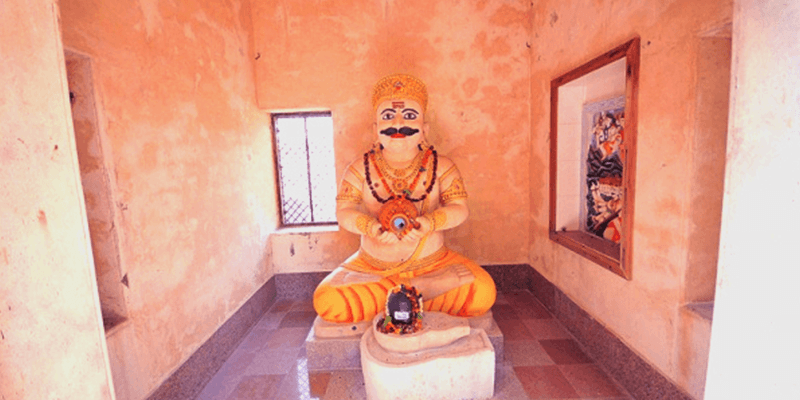 There is a glorious Ravana temple to celebrate this association of the Brahmin king with Mandore. As mentioned before, the demon king is treated as a son-in-law among Mandore Brahmins. Some other Brahmins even hold him as their ancestor. The Ravan temple has been built on the premises of Mahadev Amarnath and Navgrah temple. Ravana’s idol is around 6 foot long and is seen offering prayers to Lord Shiva. Within the temple, you can hear chants like “Jai Lankesh” or “Ravan Baba Ki Jai”. During the aarti, bhajans dedicated to Ravana are sung within the temple, praising the demon king. People from far and wide visit the temple seeking cure from effects of black magic or paranormal activities. There is a special section within the premises where Ravana is supposed to have married the local girl, Mandodari. This place is well known as “Ravan Ki Chanwari”. Trivia: The Raavan statue is six & a half feet tall and made of Jodhpuri sandstones. 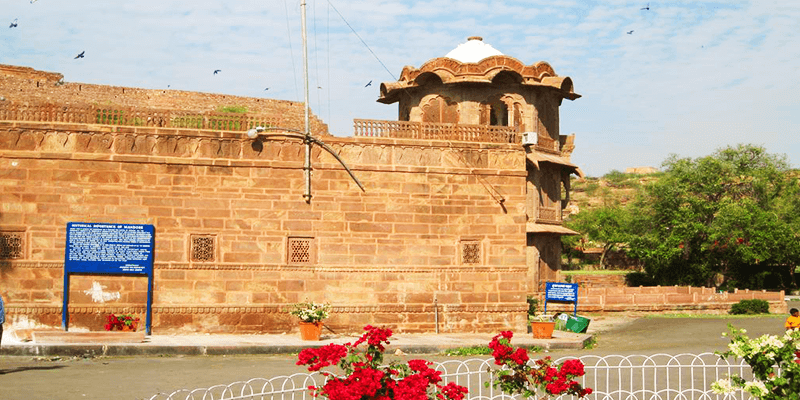 When in this town, you should definitely visit the much famed caves of Mandore. According to the local legends, these ancient and mysterious caves are considered to be the passage to hell itself. 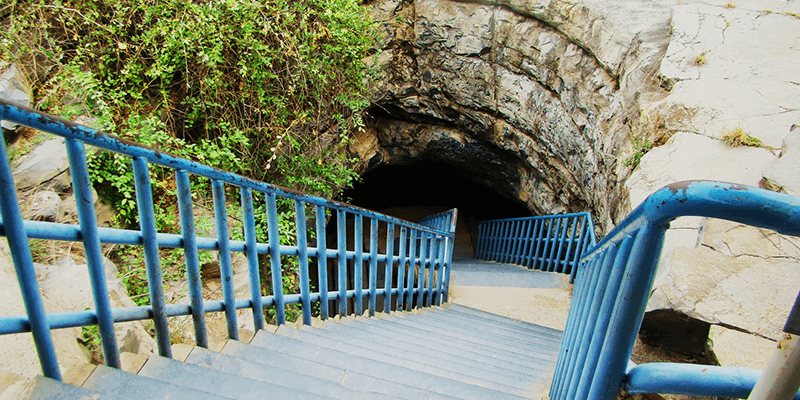 Locals believe that Ravana came out from this cave to marry Mandodari. Many excursions have been conducted within the cave to find the other way out, but each one has failed. Many deaths have also occurred within the deep taverns of the cave, due to lack of oxygen. In light of such security issues, Government of India has banned tourists from entering the caves, yet many tourists visit the site to feel the mystery associated with the place. Note: The caves are banned for public viewing, so a special permission is required for entering the caves. This beautiful garden gives the onlookers a feeling of Angkor Wat! This garden houses many cenotaphs (chhatris) of many eminent Jodhpuri rulers. Though these cenotaphs would apparently look quite simple, but they hold great beauty inside. Climb to the top of these cenotaphs and you would get a magnificent view of the surroundings. 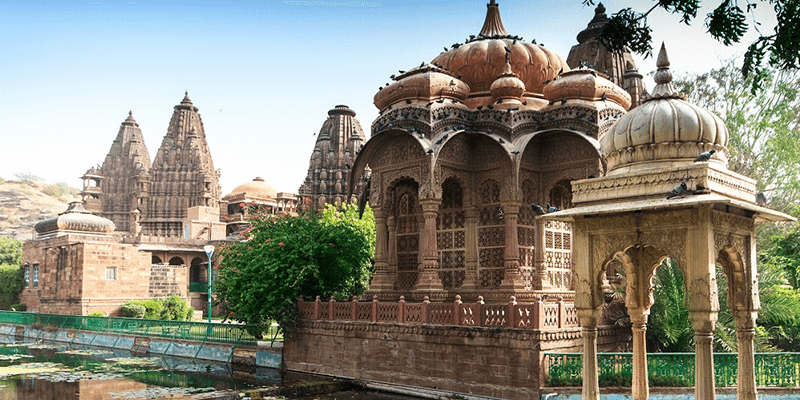 Back when Mandore was the capital of Marwar, it was a major centre of architecture and these cenotaphs are fine examples of beautiful architecture in those days. The most enthralling thing about these cenotaphs is their ceilings. Every cenotaph is different from the other. Note: A single day may not be enough to visit each of the cenotaphs from inside. Trivia: Don’t carry any food in your bags as the garden has a large population of monkeys who may attack you in search of food. This lavish monument was built in honour of brave Marwar rulers. The hall contains a single rock which has been used to carve out 16 figures. You need to see the masterful work etched on it to believe. The figures depicted in the rock cut emphasise moral values as well as provide historical details. Also within the same campus you will find the “Temple of 300 million gods”, which again is testament of Marwar’s marvellous architecture with a touch of divinity. Timings: Though there is no opening time for the monument, but it closes at 5 PM. Trivia: The hall contains rock cut statues of several deities and heroes which were painted in bright colours. Now in ruins, the fort was once an architecturally rich monument. Today’s ruins suggest that there was a huge temple within the fort. The Mandore Fort has recently come into limelight being one of the venues for the famous annual Marwar Festival. Quite interesting! Creates a lot of interest in the mentioned places. I really like your blog. Pictures are very inspirational and can inspire anyone to visit there. Mandore sound beautiful place. I really inspired. I am planning a trip to Mandore very soon. Thanks for sharing.